This ticketing system works best with Chrome, Internet Explorer, or Firefox. There have been issues with people attempting to purchase tickets using Safari. If you use Safari and have problems, try using another browser. If you have technical difficulties during the purchasing process, send us an email. A ticket representative will contact you. Thank you for attending Bench in the Sun! The show got very good reviews from our audiences! 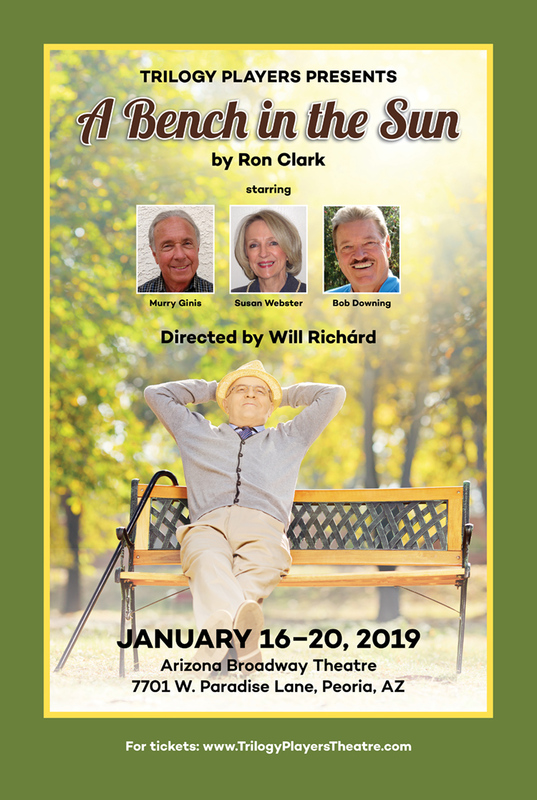 We are not able to offer a season ticket package this year because of our partnership with Arizona Broadway Theatre (ABT) in performing Bench in the Sun. Tickets to Trilogy Uncensored are $24/seat (includes service fee) and can be purchased through this site. Click on "Choose dates and seats." Tickets to Bench in the Sun will also be $24/seat (includes service fee) and are available for purchase here.